Freshberry Yogurt is one of the business concepts introduced by its parent company Beautiful Brands Incorporated. It was back in 2006 when Carolyn Archer worked up some cool yogurt recipes to a restaurant’s menu. She approached the owners of Camille’s Sidewalk Café and discussed her ideas. To her surprise the couple did not only take her ideas to heart but they also started a brand new trademark store from her concept. Today, the company has opened fresh yogurt cafes in other states and other countries. Current café locations include California, Florida, North Carolina, and Nevada. They also have opened international stores in Saudi Arabia, Venezuela, and the UK. Note that store hours vary by location. Some stores are open from 10 AM to 11 PM. On the other hand, others open at noon and close at 9 PM. The trademark product of Freshberry Yogurtis of course their fresh berry yogurt. Other signature items on their menu include their tarts and their Decadent Dark Chocolate. It’s a great place for people who love yogurt and desserts. In this company, almost everyone starts out as a member of the team. You eventually learn the ropes and every manager is usually promoted in house from the very staff that started from the bottom up. The minimum age requirement to work for Freshberry Yogurtis 16. Note that this is for entry level positions. If you’re eying management positions then you will need to have relevant training and experience. General Manager: General Managers are given oversight in the company’s cafes. They are in charge of the cafes operations and monitor the sales each day. The salaries for this position are more than $39,000 per year. Assistant Manager: Assistant Managers have additional responsibilities other than those of an ordinary team member. They handle customer complaints, and train staff members. The hourly rate for this post is more than $12 per hour. Cashier: Cashiers process all customer transactions within the café. This is an entry level position that doesn’t have a lot of requirements. However, you should be able to communicate effectively with different types of people. Team Member: Team members take orders from customers. They are also responsible for putting the customer’s order and it should be according to the store’s menu. Interested parties may also submit their job applications for other job positions such as the following: server, team leader, and shift supervisor. Note that each store will post different job openings. There is no online job application process in Freshberry Yogurt. Take note that each franchise hires their personnel separately. That means you need to visit a café you’re interested to work for. When you walk into a store you may ask for the café’s manager. You may either submit your resume or you may be requested to fill out a job application form. There is no downloadable application form online. If there is an immediate vacancy when you walk in you may be interviewed right then and there or perhaps the interview can be scheduled the following day. Dress smart but you don’t need to put on a business suit. Note that you may also apply for corporate job posts if you’re interested in them. You need to contact the company’s headquarters and you may also submit your application online for these postions. The benefit packages that store employees get in Freshberry Yogurt vary from store to store. Each franchise location will be run a bit differently depending on the store location. However, full time employees pretty much have the same employment benefits across all stores. They include retirement plans, healthcare packages, and discounts on food items in the restaurant. The company opened its first self-serve store back in 2010. It offers a rotating selection of 30 toppings as well as 20 yogurt flavors. Its toppings bar allows customers to customize their orders. 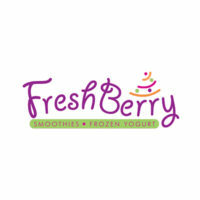 Freshberry is actually one of the 14 business concepts developed by Beautiful Brands International. The company has successfully launched businesses and franchises worldwide. It’s one of the most profitable enterprises BBI has launched. The Freshberry Company prefers to hire newcomers who have absolutely no experience. You will find a lot of open entry level job posts. New employees do not normally remain in the same job for long.